Self-contained in its slim carrying case, Juice energizes and recharges mobile equipment anywhere, anytime. 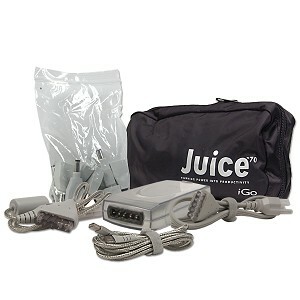 Auto, air or standard outlets, Juice connects to them all - eliminating the need to carry multiple adapters. And with its optional Peripheral Powering System (PPS) accessory, Juice simultaneously powers a mobile phone or Handheld in addition to your notebook - supplying continual power with built in safeguards. So take off with the power of Juice. Grounded innovative design, it's the clearly complete energy source for mobile computing. NOTE: Tips 2, 3, 4, 5, 6, 8, 9, 11, 12 & 15 are included with this model. 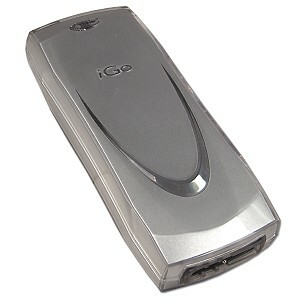 When updating your electronics, simply update your iGo power supply by purchasing a low-cost interchangeable tip to fit your new device. The only all-in-one mobile adapter connecting notebooks plus a mobile phone or handheld simultaneously to any power source. Accessory required for mobile phones and handhelds. Why wait? Get your Juice now. Juice for Compaq, Hewlett Packard, IBM, Toshiba Models, Apple, Dell, Fujitsu and Sony Models. Slim and sensibly designed, Juice¡¯s case is an efficient solution that eliminates tangles. and plug this into your armrest. while supplying power to your notebook and phone. to plug in at home, office or in the hotel. Not every notebook is created equal. With that in mind, Juice supports most major notebook brands. Check our tip compatibility for a detailed listing of model coverage. Juice is compatible with today's most popular notebooks such as Apple, Compaq, Dell, Fujitsu/Siemens, Hewlett Packard, Toshiba, IBM, Sony, Gateway, etc. Juice comes pre-packaged with the following tips: 2, 3, 4, 5, 6, 8, 9, 11, 12, 15. 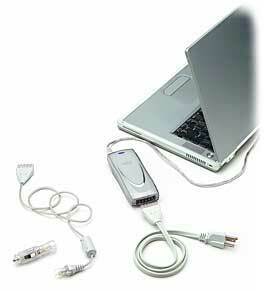 Check our notebook adapter compatibility for a detailed listing of notebook model coverage. Please use the notebook configurator located here for a complete list of compatibility. Juice comes pre-packaged with the following tips: 2, 3, 4, 5, 6, 8, 9, 11, 12, 15. 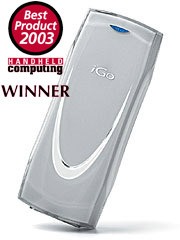 You can purchase additional tips at iGo website. *This product may not give full functionality of the device being charged. ** Tip must be purchased separatly. This compatibility information for today's most popular notebooks is provided solely to assist you in your purchasing decisions. We do not control the changes manufacturers make to their products, nor are we always immediately aware when those changes are made. Although we strive to keep this compatibility information as accurate as possible, its accuracy cannot be guaranteed. In no event will iGo or any of its affiliates be liable or responsible to you in any manner whatsoever if any product sold on this web site proves to be incompatible with any other product, even if our information proved to be incorrect. Please refer to the terms of our 100% Satisfaction Guarantee and Return Policy in the event you purchase the incorrect product. This is a Brand New Item in Retail box!